This started out as a high concept column. Like many newspaper stories, the conclusion was fixed before the research started. It struck me that two exhibitions currently running in the Rijksmuseum represent the polar opposites of three-dimensional design. Chillida and Kwab, a column presented on a silver platter. In the garden there are nine massive sculptures by the Spanish Basque artist Eduardo Chillida (1924-2002). They are triumphs of weight and solidity, built of spherical and cubic rods of corten steel twisted with prodigious power into implacable forms, sometimes anchored onto even more voluminous bases. 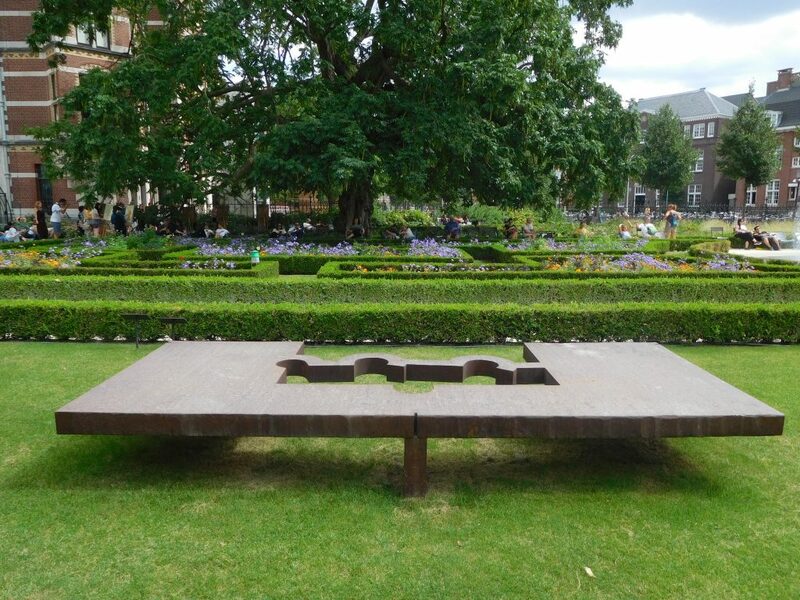 They take over the spaces in which they are placed, making you walk around them to take in all the forms they define, the varying views through them to their settings. The very meaning of sculptures like these depends on their setting. 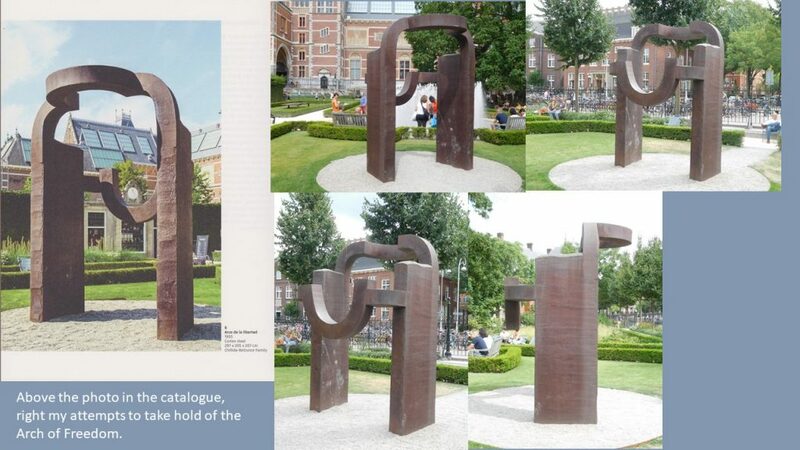 In the Rijksmuseum garden, seeing Chillida’s commanding Arco de la Libertad (1993) involves skirting a fountain in the middle of which you can stand as it spouts and angling for meaningful views, against distracting backgrounds. I found myself wishing I were in the park on the Chillida-Leku estate in Spanish Basque Country where Chillida installed Arco de la Libertad and where I could engage in the solemn communion with nature and art the piece calls for. That effect is achieved splendidly in the placing of Mesa de Omar Khayyam III (1983), but other Chillidas seem to accommodate themselves less gladly to the crowded Rijksmuseum garden than the works by Jean Dubuffet, Giuseppe Penoni, Niki de Saint-Phalle, Alexander Calder and Joan Miró from previous installments in the series, which seemed to kick on their displacement. Yet, nothing but thanks and compliments to the Rijksmuseum and its guest curator, Alfred Pacquemont, for this invaluable new tradition. In contrast to the free play of forces in the Rijksmuseum garden, the presentation space for the current exhibition inside the museum is subjected to ultimate control: Kwab: ornament as art in the age of Rembrandt. (The title was apparently changed – to the better – at the last minute. 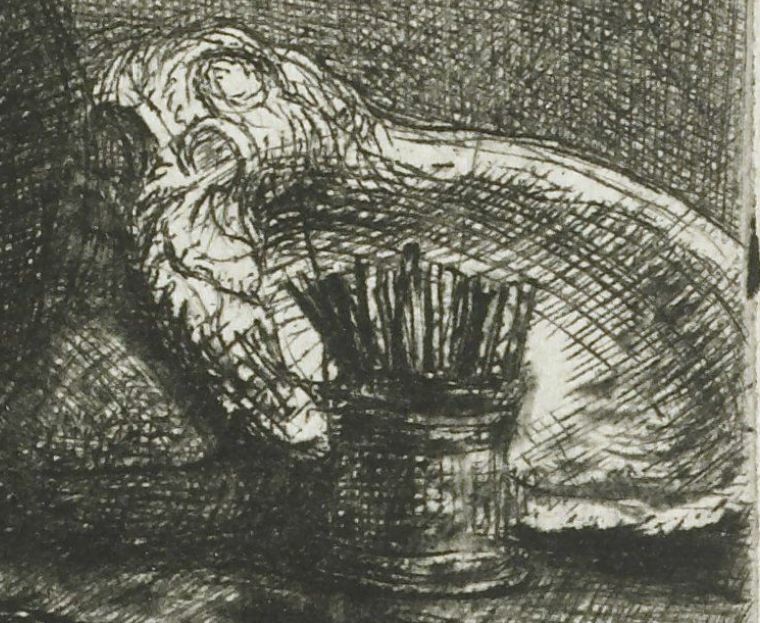 The director’s foreword calls it Kwab: Dutch design in the age of Rembrandt.) Here, the exhibition spaces have been designed (some say overdesigned; not I) as an adjunct to the objects. What is kwab? Listen to the curator, Reinier Baarssen, who even after so many outstanding exhibitions to his credit must have had the time of his life making this one. Kwab is the somewhat unsatisfactory but graphic word used in the Netherlands for the most original contribution ever made by the Dutch to the art of ornament. Kwab, usually called auricular or lobate in English, is too strange a phenomenen to be easily classified… A kwab is a flabby fold or thickening, for example of a human or animal body. With its vague outline, a kwab looks as if it may change or dissolve at any moment: there is an inherent suggestion of movement. It is the antithesis of a classical, balance form, and suggests a soft, treacly or slimy substance. The body part that comes closest is the ear, giving rise to the English term auricular and the German Ohrmuschelstil. The exhibition is a rare delight. 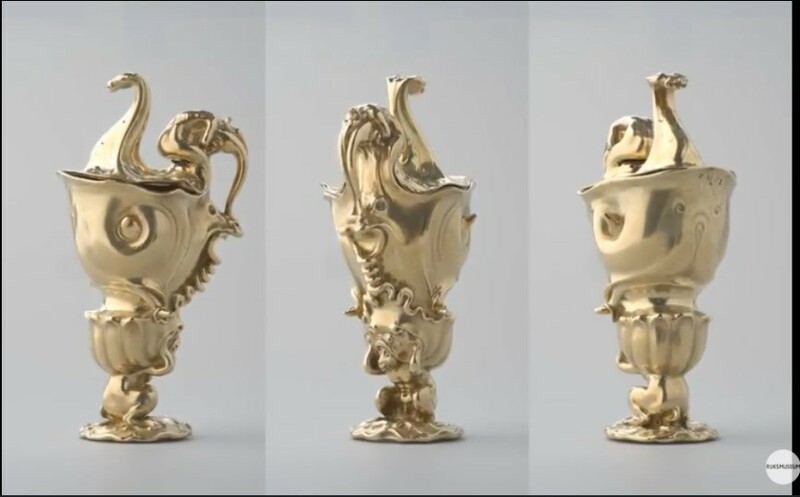 It opens with a film showing an object that the director, Taco Dibbits, calls “probably the most famous work of art of the Dutch seventeenth century.” It is a silver-gilt ewer made by the Utrecht silversmith Adam van Vianen (1568/59-1627), on order from the Amsterdam silversmiths’ guild, to commemorate the untimely death of Adam’s highly admired brother Paulus (1570-1614) in Prague. The film turns the ewer around in all directions, telling us that objects like it cannot be appreciated fully unless one can take them in one’s hand and examine them from all sides, by touch as well as gaze. Kwab is a sensuous art form. 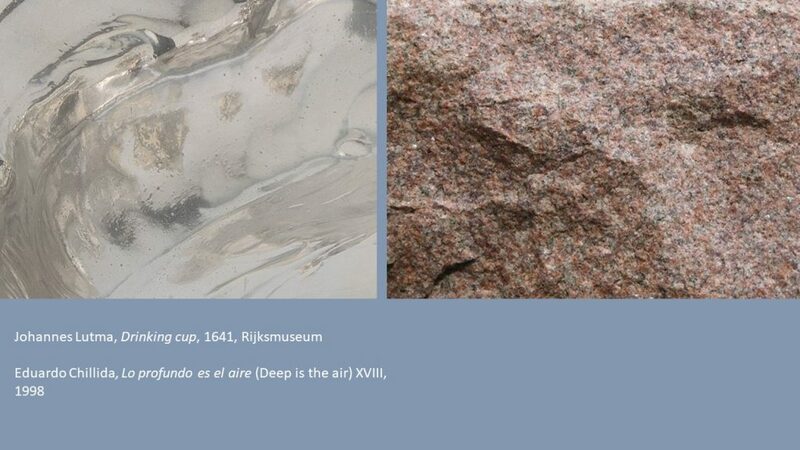 A three-minute film like it is on the museum website, at https://www.rijksmuseum.nl/en/kwab/discover-kwab. It gives you an idea of the technical and imaginative wealth of this genre. Kwab was highly personal. 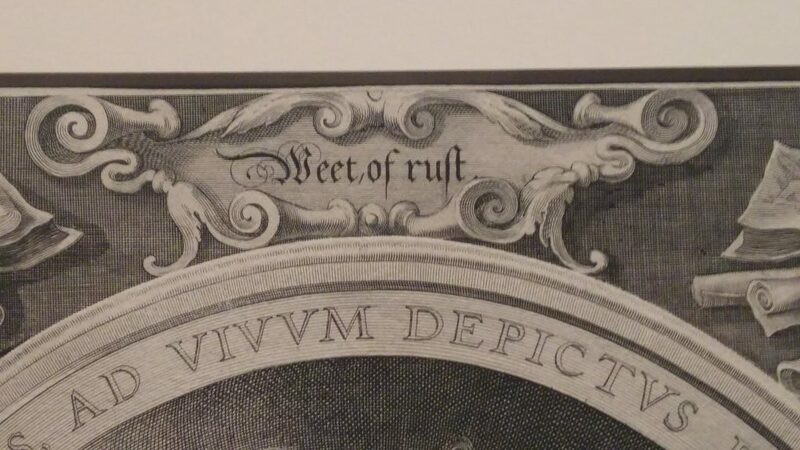 The earliest known appearance of a kwab motif is found in print, with a purely imagined, non-existing element in a memorial portrait of 1591 or 1592 by Hendrick Goltzius (1558-1617) of his philosopher-artist teacher and friend Dirck Volckertsz Coornhert (1522-90). As we have seen, Adam van Vianen’s golden cup also commemorated a dear one, his brother Paulus. It was in fact Paulus who first applied the mode in metalwork. That he did so in Prague was no coincidence. Paulus was attached to the court of Emperor Rudolf II (1552-1612), one of a prodigiously talented group of artists brought to the city by an emperor who was mad for artistic thinking out of the box. Where else could an artist experiment so time-consumingly, in such precious materials, with an aesthetic that subverts the very classical ideal that the earlier Habsburgs instrumentalized to shore up their authoritarian power? I must admit to an unworthy feeling of satisfaction, as a long-time critic of Svetlana Alpers’ thesis that Dutch art is essentially an art of describing, to the exclusion of so much else, that the Rijksmuseum presents kwab as an original Dutch contribution to world art, with Adam van Vianen’s ewer of 1614 as the single most famous creation of the Golden (call it the Silver-Gilt) Age. Kwab gives you the feeling that anything goes. Once the planar surface has been relinquished, along with adherence to existing iconographies, the artist is alone in the room with his imagination. 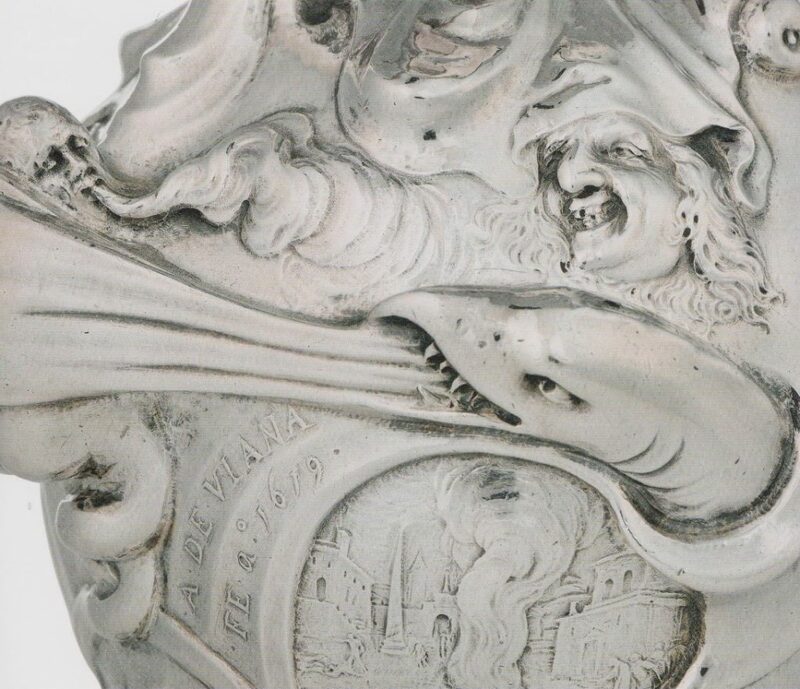 To show what can emerge, here is a detail from another ewer by Adam van Vianen, in the Metropolitan Museum of Art. Departing from a vignette of the sacrifice of Marcus Curtius, who plunged with his mount into Hades to save Rome, the artist releases gaseous emanations and bestial creatures to surround the scene, bringing hell from within the frame out to our own space. Kwab is not just a stylistic device. It is a truth or dare game for a person with the ewer in his or her hand – how far do we let our own imaginations go? To Rudolf and to a tormented contemporary like Johannes Torrentius (1588/89-1644), design was metaphysical, mystical, a game with life and death. One of the objects in the exhibition, a patch of gilt leather from the Swedish castle of Skokloster, brought back a vivid personal memory. 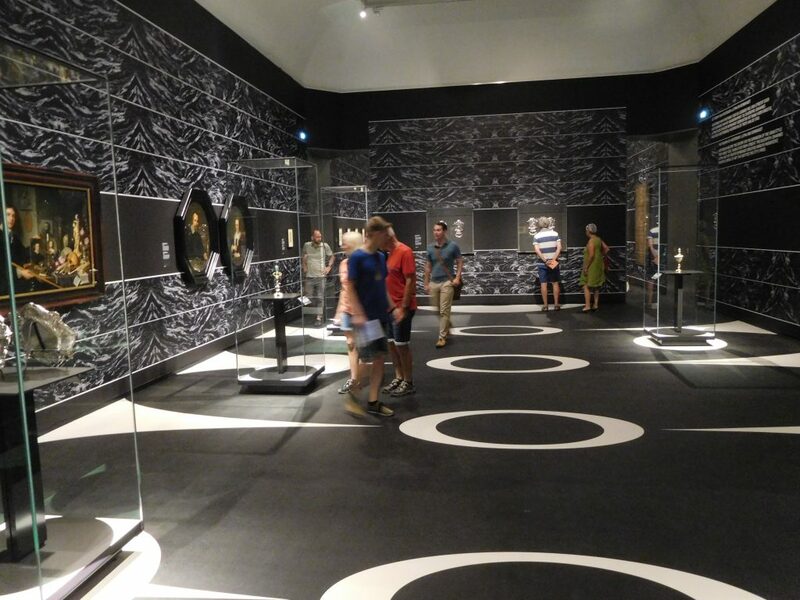 On August 28, 2004, in Sweden preparing a memorable CODART study trip in 2005, I was marveling at the colorful freedom of the gilt leather wall covering, made in the Netherlands in the mid-seventeenth century, when the curator, Bengt Kylsberg, said “Let me show you something.” That something was a peek at a part of the leather that had not been exposed to light for 350 years and still had its original brilliance. The exhibition catalogue has a photo of the entire spot. 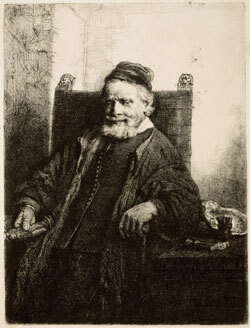 The kwab mode penetrated all reaches of art and design in the Netherlands – metalwork, graphic design, architecture, furnishings, everything – up to and including paintings by Rembrandt and his etched portrait of Adam van Vianen’s successor as kwabber-in-chief, Johannes Lutma (ca. 1584-1669). Working my way towards the foregone conclusion with which I started, playing off Chillida against van Vianen, with a compliment to the Rijksmuseum for bringing these polar opposites together, I had second thoughts. 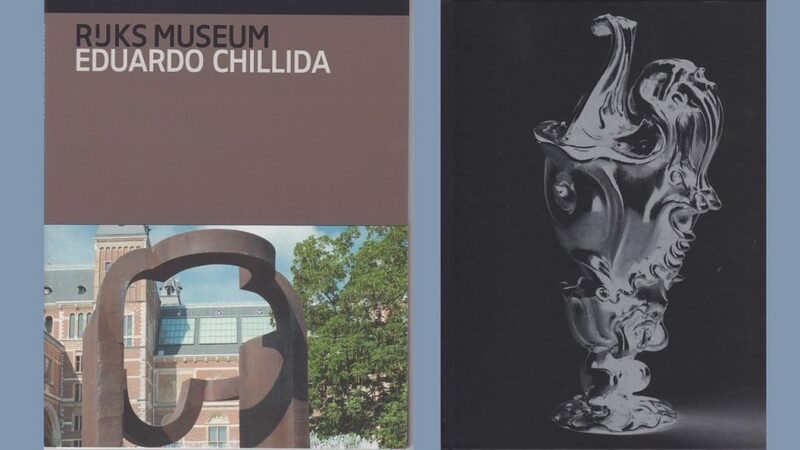 Looking through the catalogues, I found in one a doodle by Chillida in notes for a lecture he gave at the Real Academia de Bellas Artes de San Fernando in 1994 and in the other an object the Rijksmuseum calls a book mirror, made in Amsterdam by Hans le Maire in the early 1640s. It isn’t that they resemble each other more than superficially. 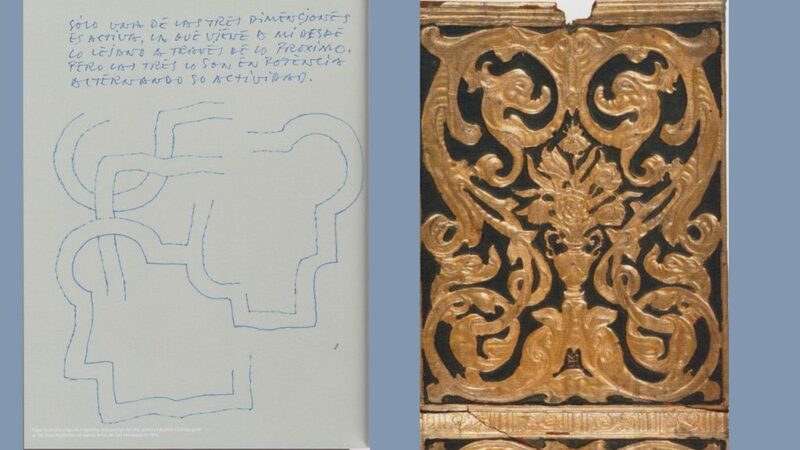 What the comparison did bring home to me is that Eduardo Chillida too was alone in the room when he sat down at his drawing table. He too took advantage of his freedom to pursue any path in which his imagination led him. And while his steel constructions have ineluctably planar surfaces, his one marble sculpture in the Rijksmuseum garden showed another side of him. Without pushing the point or making too much of it, I present this comparison to confess that I was being too categorical at the start, and that even Eduardo Chillida had a bit of kwab in him. © 2018 Gary Schwartz, Published on the Schwartzlist on 2 August 2018. Loekie and I are taking our vacation in bits and pieces, a day or two at a time. On our way to and back from the Rembrandt conference in Herstmonceux we stayed at nice b&b’s in Guînes, outside Calais, and Glyndebourne. Back home, we consider our visits to the EYE Film Theater, for films in their Billy Wilder Festival, holiday outings. We are taking days off to see Edgard Tytgat in Schiedam, Wayne Thiebaud and the sculpture park in Voorlinden and Odilon Redon in Kröller-Müller. And there is a combined work-holiday week in Basel and Zürich coming up at the end of the month. Even if there’s also work to be done, a summery feeling. Wish the same for you. Interesting observations Gary. 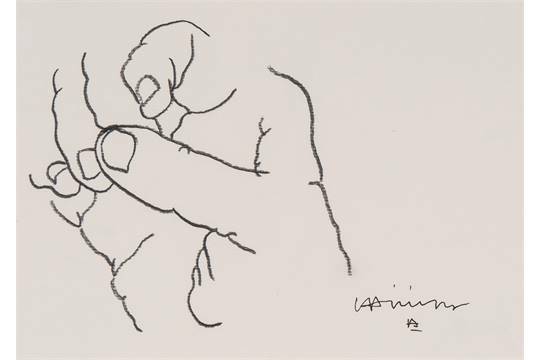 I forwarded your column to a friend who has some of Chillida’s work in his collection, and he pointed out that many of Chillida’s early drawings–where he starts to show an interest in voids and volumes–were linear studies of hands and figures where he emphasized the protrusions, indentions and folds of the flesh. Literally, kwab. Thanks, Paul. I was afraid that I might be overshooting the mark, but this gives reassurance that I wasn’t. Another of those early drawings is illustrated in the catalogue, but I didn’t make that connection. Gary, I think there’s a difference between the Coornhert motto in Goltzius’s tag and what Wittgenstein wrote. Wittgenstein’s point, as I understand it, was that with respect to what is intrinsically unspeakable, one should remain silent and not attempt to speak about it allusively, metaphorically, … Coornhert’s excellent admonition (as a moral principle that would be challenging to follow!) was not to speak about something unless you are certain of it (certain of a truth, I suppose). Because there is no reason to believe that cognitive bias was not in operation between 1591 and 1999, I propose that it be renamed the Coornhert-Goltzius effect. About Wittgenstein, even though I think my reading is right, I hereby, in the spirit of Coornhert, Goltzius, Dunning and Kruger, cede to the judgment of someone – you – who knows a lot more about him than I do. As usual, you have opened my eyes to a previously unknown facet in the history of art. 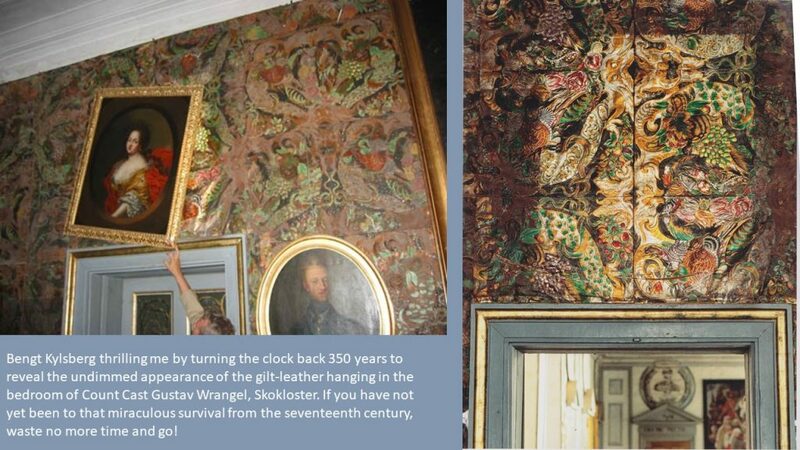 Two questions: 1) is it possible to enable the enlargement of the photo revealing the undimmed gilt-leather? 2) what would you say is the relationship, if any, of “kwab” to “painterly?” I love his doodle, by the way. Looks like it could have been made by a contemporary painter. Thanks, Philip. I’ll try to get a better photo of the gilt leather in Skokloster. And if you ask if kwab is more draughtsmanlike or more painterly, in terms of Heinrich Wölfflin’s opposition that we all learned in art-history courses in college, of course it’s more painterly. But I wouldn’t go any further than that. As far as “Les extrêmes se touchent” is concerned, I would add that competency is no less prone to self-overestimation. The competency of all those experts out there has done little to avert the global calamities we are facing today, au contraire… As for Wittengenstein’s famous-last-words, seen from the standpoint of an incompetent logician, I always thought it contained the wisdom of a tautology, since “nicht sprechen” amounts to “schweigen.” Or did he mean that metaphorically? Having demonstrated my incompetence this far, I must say that the extremes of monumental art and decorative art here can be made to touch only by a mighty leap of the imagination. I also fail to see any originality in the use of curvy, spirally ornaments, which can be found in the arts as far back as you want to go. Call me a spoil sport, or an extreme waiting to be touched. I can only agree with you about the relative value of the wisdom of experts, Jean-Marie. But that doesn’t change the relevance of those tests, which show that the less someone knows about a subject, the more assertive he or she is apt to express an opinion. I came across this earlier in research concerning knowledge concerning the European Union among Belgians and Dutchmen. The Belgians knew far more, but were much more modest in their self-appraisals than the Dutch. As for the extremes touching, my fallback position is that they are presently joined in the exhibition program of the Rijksmuseum. Concerning Wittgenstein, I now hold my tongue.